COUNTRY KITCHEN DÉCOR: The rustic look melds beautifully with vintage, country kitchen and whimsical decor styles. 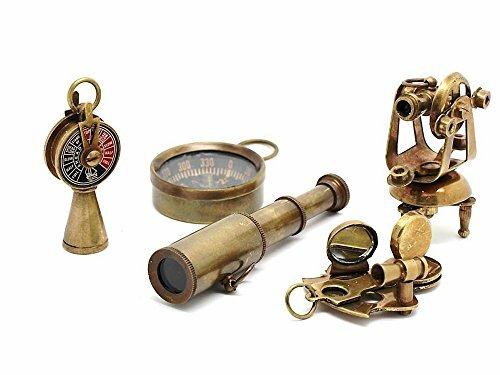 Do you or someone you know like antiques or steampunk style? 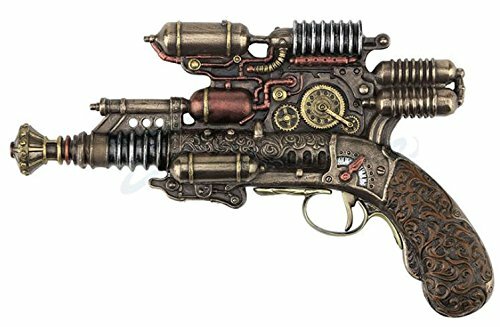 This would also make a wonderful gift for someone who loves old stuff, but maybe isn’t handy enough to make it themselves. It is sure to be a well-received present no matter who it’s given to. 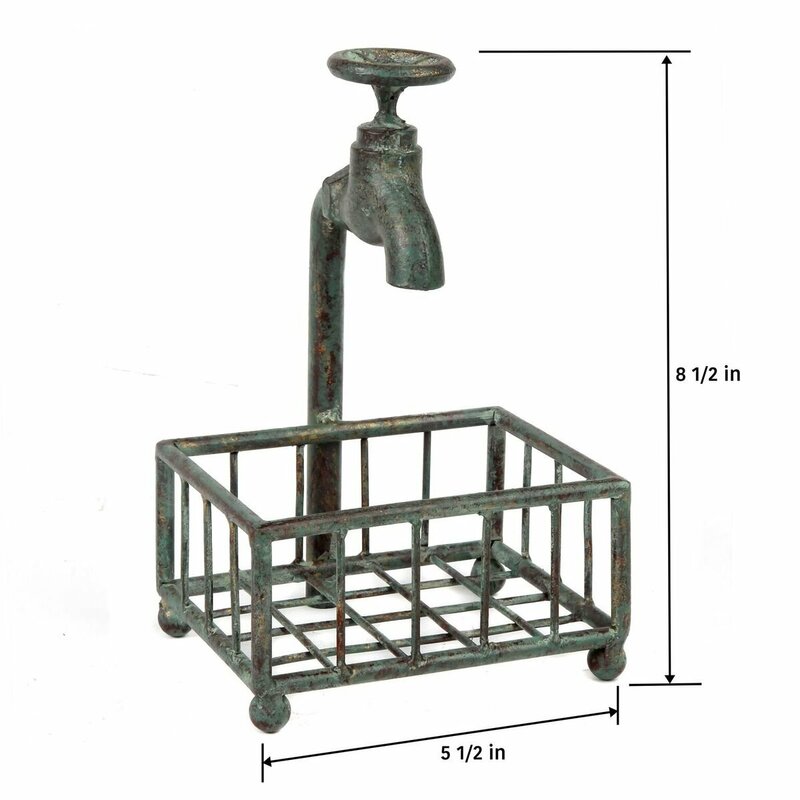 STUNNING DETAILS: A green patina finish replicates the look of a vintage outdoor water faucet, complete with miniature knob. While the spigot is not actually functioning, it may convince your guests that you made it in your own garage! 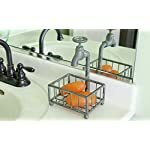 ALLOWS WATER TO FLOW THROUGH: Holds bar soap or sponges, allowing water to go through the bottom grid to eliminate moisture and mildew. It keeps soap dry so it does not sit in a puddle, making it last longer. No more slimy bar soap or wet sponge odor. 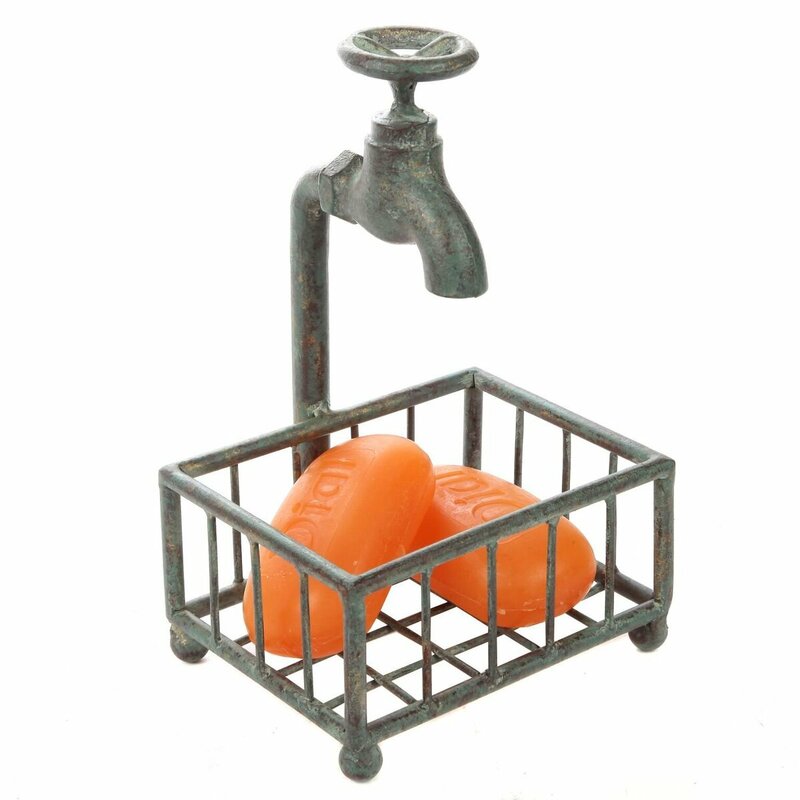 You can place sponges or bar soap in this clever sink-side Rustic Holder from Lily’s Home. 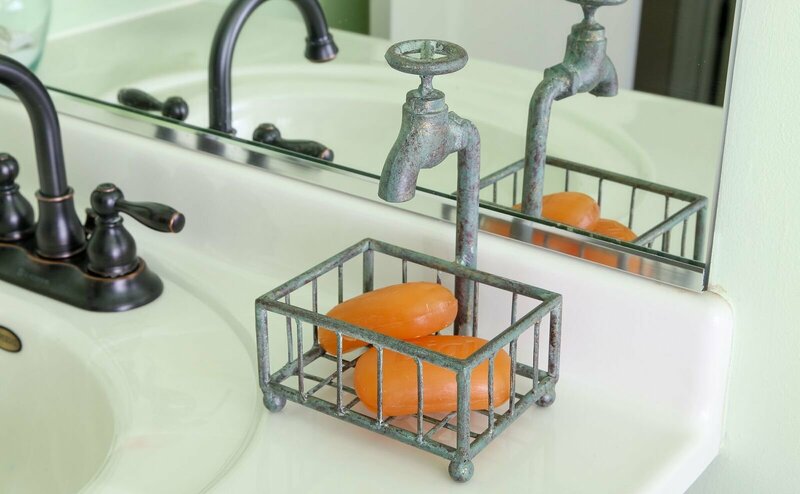 The open, basket-style grid bottom keeps water from pooling, so your bar soap stays dry and lasts longer, and your sponge won’t breed bacteria that creates that wet sponge odor. 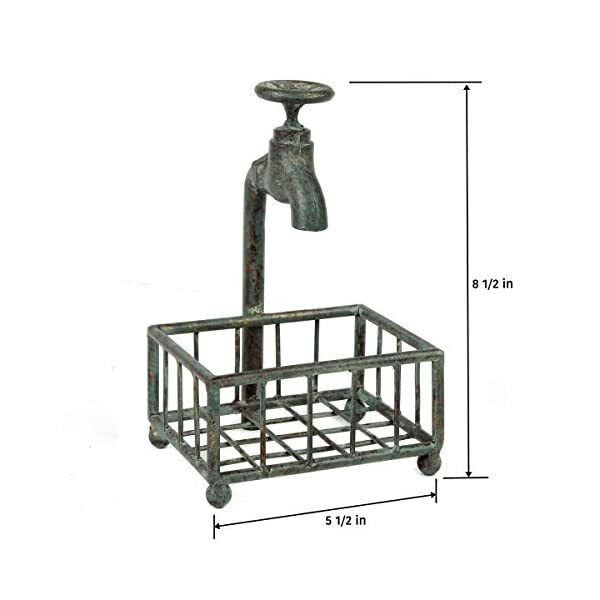 Designed to look like it was crafted with bits of scrap metal, with a green patina finish that imitates the look of oxidized iron, and melds well with many decor styles, including country, vintage and woodland restrooms. 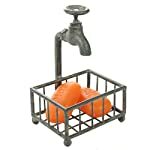 This is a whimsical, practical addition to your sink in the bathroom or kitchen. Soap and sponges are not included. 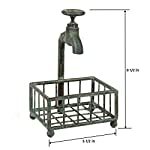 Lily’s Home makes a wide array of products for every home and garden lover. Whether you’re looking for a perfect gift to spruce up your friend’s garden, or if you need a housewarming present, Lily’s Home has something for everyone! 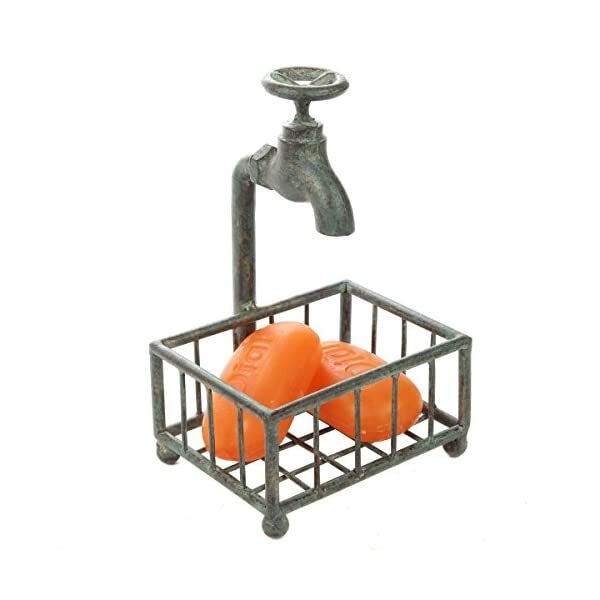 VINTAGE INSPIRED: The Rustic Bar Soap or Kitchen Sponge Holder adds a touch of whimsy to your country, vintage or woodsy bathroom décor designed to look like a makeshift creation crafted with an old spigot. 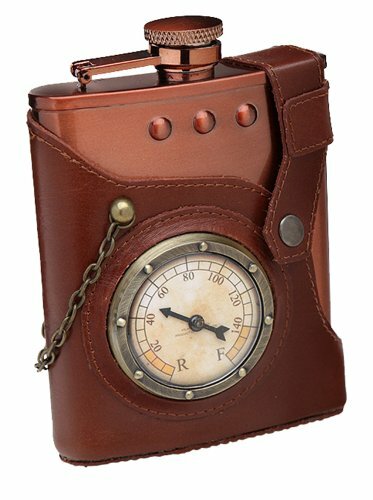 It measures 8 1/2″ tall and 5 1/2″ wide. A GREAT GIFT IDEA: Lily’s Home makes a wide array of products for every home and garden lover. Whether you’re looking for a perfect gift to spruce up your friend’s garden, or if you need a housewarming present, Lily’s Home has something for everyone!